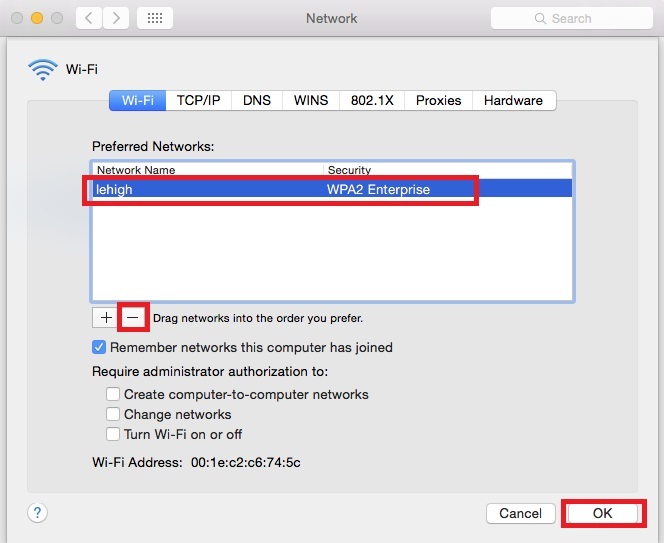 This document describes how to update your Lehigh password for a wireless connection on a Mac. If you still cannot connect after making these changes, try removing your saved password from the Mac keychain. 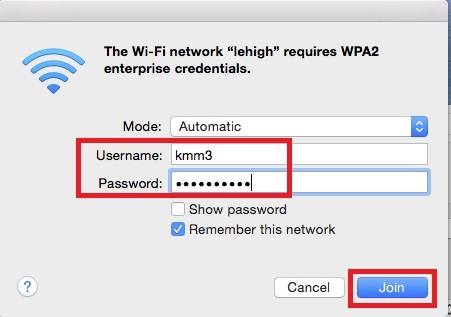 If you're not automatically being prompted to enter your new Lehigh password on your wireless connection, you may need to remove the Lehigh wireless network and create it anew. 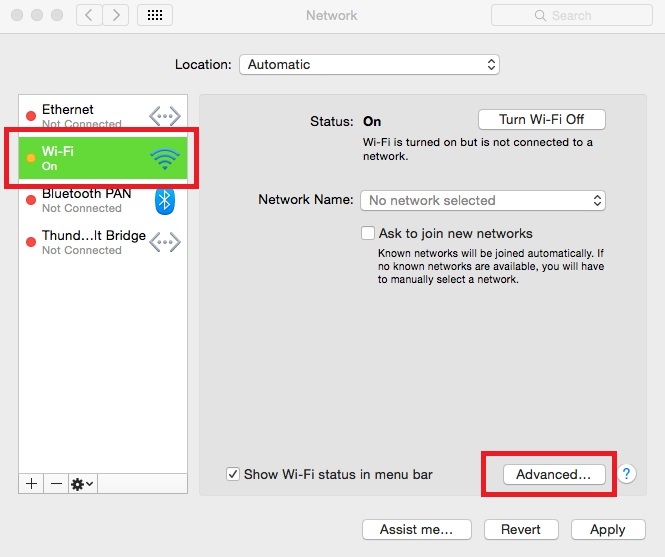 To do this, click Settings > Network Preferences > Wi-Fi, then click Advanced. Click the Wi-Fi tab. Review networks in the Preferred Networks list and remove the lehigh network, if listed. Click OK, then click Apply and exit the Network window. Click the wireless icon in the menu bar, then choose the lehigh network. If you receive a prompt to verify the certificate, click Continue. 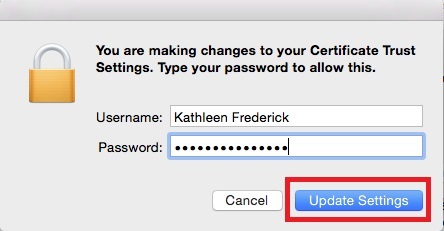 Enter your Mac password when prompted and click Update Settings.